“It’s all going down.” Why journalism is up in flames. News doesn't sell. That's lethal to journalism – and democracy. Tina Brown is an award-winning journalist, editor, author and founder of the Women in the World summits. 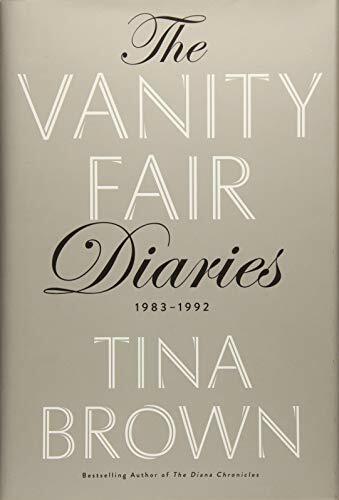 Between 1979 and 2017, she was editor-in-chief of Tatler, Vanity Fair, The New Yorker, and authored The Diana Chronicles and The Vanity Fair Diaries. Her podcast “TBD with Tina Brown” is available on Apple podcast. TINA BROWN: Algorithm-based selection is really the death of journalistic editing in every way. Because inevitably, the algorithm just goes for the lowest common denominator, often very divisive, very sensational bit. And that is different from real engagement. I mean, everyone is going to click on something which says "child murderer --" whatever, I mean, or hateful politics. The human nature is such that you're going to click on those things. 'Boa constrictor eats baby' is just the old-fashioned tabloid way, in a sense, of catching bait. But at the same time, when it's in the volume and the size and the velocity that we're seeing now with the digital platforms, that has actually pushed out everything else. And what I think is very, very worrying is that basically marketers have decided they really don't want to be around news, because, no surprise, nobody wants to put their ad next to a flaming building in Syria. Why would anybody want to put their beauty products or something next to it? They don't want to be next to it. So when you disaggregate stories from their overall context, you're not going to find any advertisers want to be around the more serious, harder-edged kind of content. So for me, that would have been like taking all the great content out of Vanity Fair and only putting the sensational media – celebrity stuff – in it, which really wouldn't have been the product at all that people like. What people loved about Vanity Fair and they like about all the magazines I've done, quite honestly, is that mix of high/low – that you actually are so interested in the piece on Demi Moore or whatever it is, that you then find yourself engaged in it and your curiosity is awakened. And then you go next to that amazing piece of journalism about the fall of some big political figure or some interesting essay that you wouldn't normally have read. If you disaggregate those things, people are just going to read the sensational thing and they're not going to read the other. And that is what is so tragic, really. And that is why you keep seeing these huge layoffs that have been happening recently again in media and all the digital platforms that were supposed to have the answers. They're laying off all the journalists that really wrote the content, the real stuff, and instead just keeping the ones who are doing kind of the lighter stuff, the frothy stuff. They're just firing all the people who did the other. And that is very, very threatening to our whole democracy. We had a little bit of a frisson of excitement because we saw Jeff Bezos buying The Washington Post. We've seen a great uptick in subscriptions at The New York Times. We've seen Marc Benioff of Salesforce buying Time. And so we think, let's hope that the digital billionaires now come like the cavalry and kind of rescue the sort of charred husks of great media companies. But unfortunately, every single local outlet has been decimated because they don't have that kind of rescue available to them. Local news is just closing down to the point that whole cities have hardly any journalistic policing, which means that the malfeasant powers can do whatever they wish. No one's going to cover them. You're going to see more corruption in government. You're going to see more uncovered scandals that are allowed to fester and damage people. And I think it's a very, very concerning time. So I was hoping that – like everyone, I was thrilled at those developments that the people such as Bezos were buying. And he's done an amazing thing, I think, supporting The Washington Post. That's great for those major premiere outlets. But unfortunately, journalism is comprised, or should be, of many watchdogs in many places. And everybody but the big shots are going down. And that, I think, is a very damaging thing, and something that we have to figure out how to combat. Because advertisers have still decided that Facebook and Google are the only places worth advertising. And until that is changed by something that needs to get done – and if I pretended I had that answer, I would be Jeff Bezos, probably – but it's a huge crisis that I think we have to get addressed. Otherwise it's all going down. Apart from media giants like The New York Times and The Washington Post, nearly every news outlet is laying off journalists or collapsing completely. The reason? No advertiser wants to put their ad next to serious, hard-edged news. Sensational content is favored by algorithms, and that isn't just annoying. It has terrifying consequences. Journalists are the watchdogs of democracy. The more local news outlets and independent media disappear, the more those in power can do as they wish. Unreported scandals will fester and damage citizens. Corruption will go unchecked.